As you study Homeschool History Renaissance and Reformation time period, you will find that it is both rich and exciting. As the story unfolds, you will not only see God's movement to reform his church and bring her back to him, through a variety of interesting characters, but also how the solid belief in an orderly and rational God opened the way to Scientific discoveries. As Francis Schaeffer says, "Science and art were set free to operate upon the basis of that which God had set forth in Scripture." History is a big story, because it is about the Big 2 Beliefs! There are many ways to plan your history curriculum. 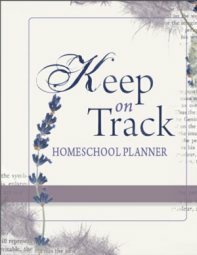 You can either select a homeschool history curriculum which will guide you through the time period, and organize many of the books you will see on this page into an order to read and discuss. Explore both of them more on the links below to find out exactly how they are organized and how they may benefit your family. Another way to approach your homeschool history study of the Renaissance and the Reformatin is to use spine books as basis of the study. Story of the World Curriculum Book 2 and Diana Waring's "Romans, Reformers, Revolutionaries" includes a story book written as a spine for your homeschool history curriculum. You can also purchase CDs, Activity Books, and Test books. These also include suggestions to enhance the complete study of the time period such as further literature reading, project ideas, art ideas and more. The World of Columbus and Sons is also a wonderful spine which covers the life of Columbus at different ages and then crosses cultures to discover what others are doing at the same time. Alternatively, you can choose a spinebook (such as Famous Men, Renaissance and Reformation by Guerber or The Story of the World) as a base for your homeschool history curriculum studies and then add in books to read aloud and books which your children can read to themselves. You do not need all the spinebooks I have listed here. Just choose one depending on the age of your children. Famous Men of the Renaissance and Reformation is free at Librivox and on your Kindle. Textbook or Spine plus primary sources? For older students, they may use Streams of Civilization Volume 2 and include some primary sources - Dante "The Divine Comedy", The Travels of Marco Polo, The Imitation of Christ by Thomas A Kempis, The Prince, Le Morte d'Arthur, Don Quixote, In Praise of Folly, Writings from the Reformers, and Works by Shakespeare. You can easily create your own study of the Renaissance and Reformation in this way. Another excellent resource which could be used as a spine for older teens (or as a read aloud) - is the narrative, "The Age of Knights, Friars, Popes and Reformers: The History of the Christian Church " which is the sequel to The Birth of Europe (or the first book, Blood of Martyrs) by Leigh Churchill. As you read about the characters in the history of the Christian church you can stop, research, discuss, add to a timeline, map and write. Another excellent alternative to studying this time period and creating your own homeschool history curriculum. Use one homeschool history spine (appropriate to the age), add some art ideas, draw a timeline, create a research project of their choosing, play or create a medieval game, dress up, have a medieval feast, narrate and create a history book, and spend some time 'living' out the middle ages in your home. I am sorry if at the end of this, you are confused. Yes, there are many ways to approach your history studies! 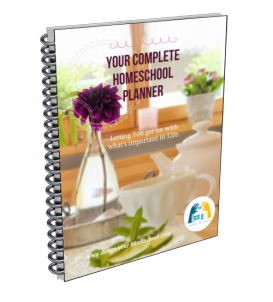 Remember - design your homeschool history curriculum and studies in your way - your family! Above all, enjoy the study! Even, if you only chose the exciting historical fiction books and read them aloud to your children - you would have a superbly rich study! One that they will remember for years to come. Having surveyed an overview of the Renaissance and Reformation time period, you can look below at the homeschool history pages to find read aloud books for all ages, historical fiction living books, history curriculum as well as Teacher resources and history project ideas for the Renaissance. Use the box below to navigate and create your own plan!